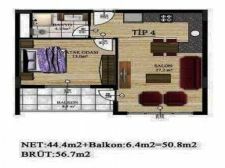 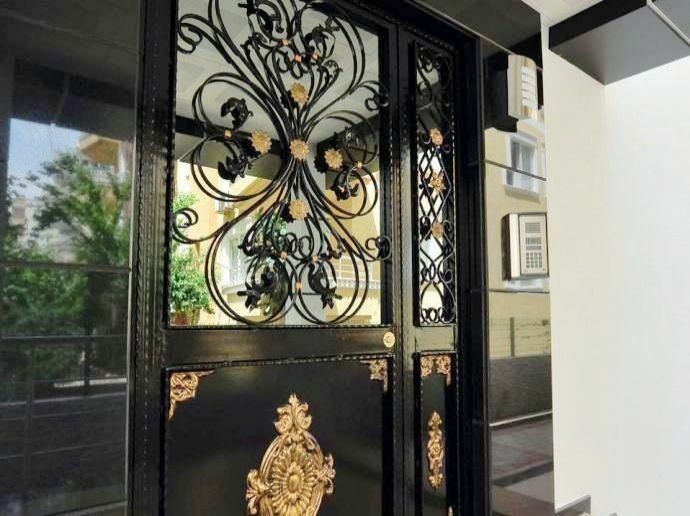 A compact, 55square meters 1+1 apartment is for sale in Alanya. 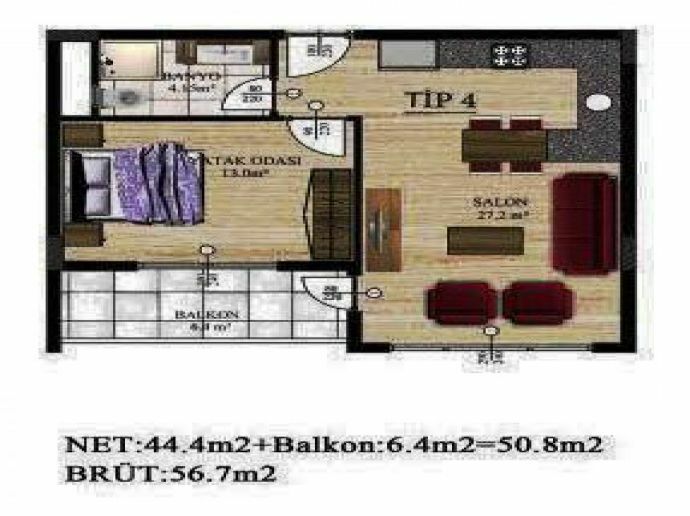 The living room is large and at its one end is the open style kitchen. 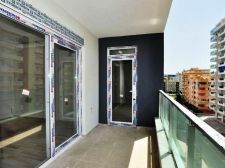 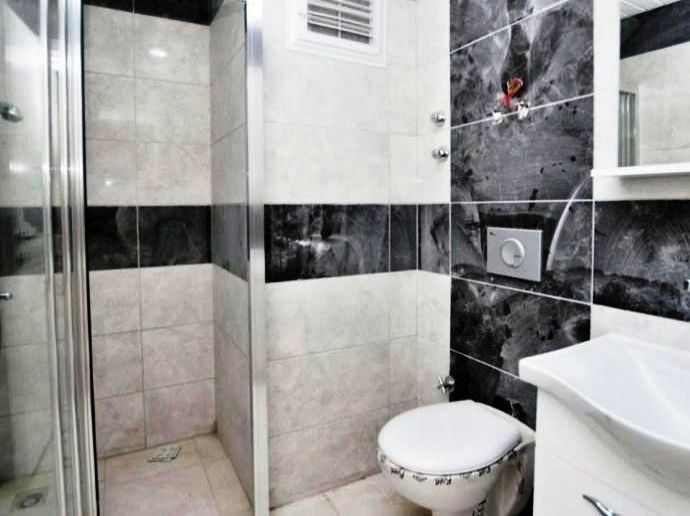 This property in Alanya has one bathroom and a balcony and is on the 5th floor of a 6 storey building. 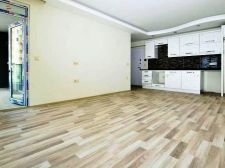 The construction quality is quite superior with glazed ceramic tiled flooring and aesthetically finished ceilings. 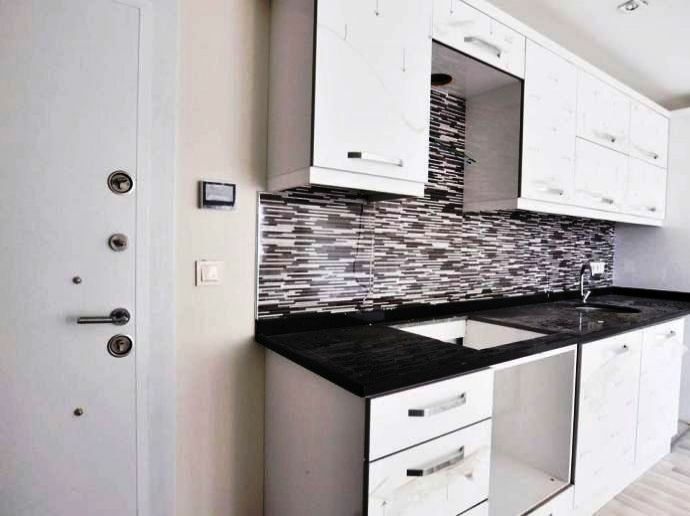 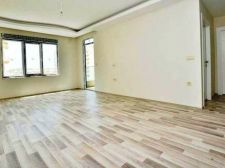 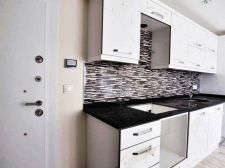 The kitchen in this house in Alanya has been done up and is ready with the storage cabinets and once the buyer moves in with the appliances, it will be a fully functional kitchen. The bathroom has the latest and branded fittings, and the cabinets have also been provided. 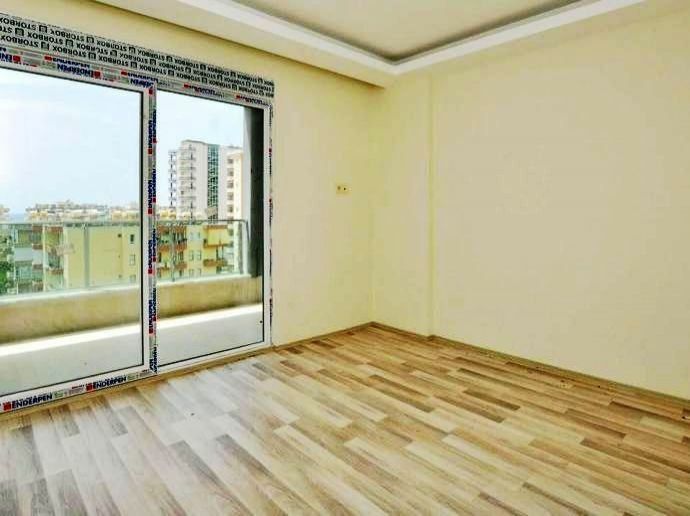 The balcony offers a nice view of the street 5 floors below. 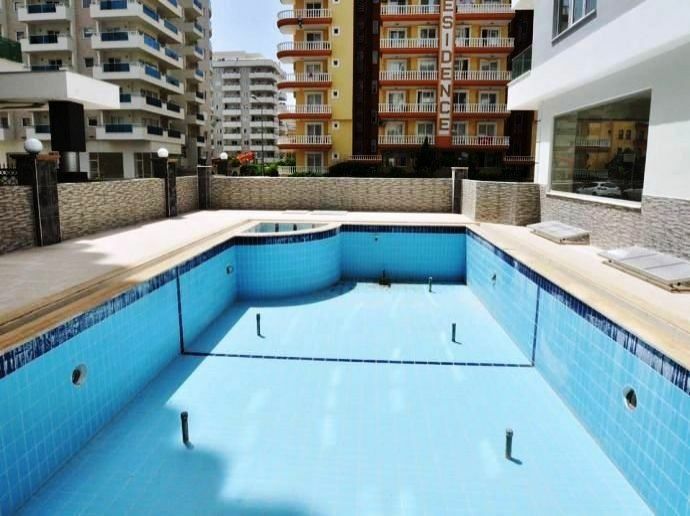 In terms of the location, this property in Alanya is very near the Mediterranean beach, just 200meters away. Within the complex, there is an open swimming pool, a sauna and also a gardener to take care of the landscaping around the building. 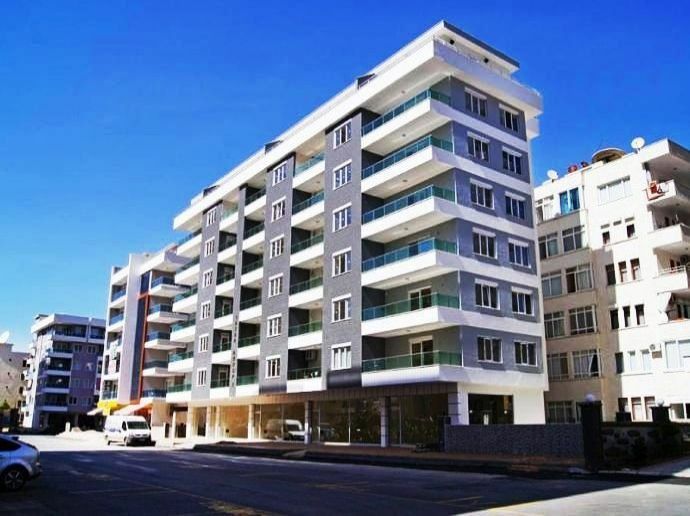 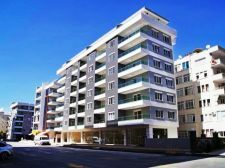 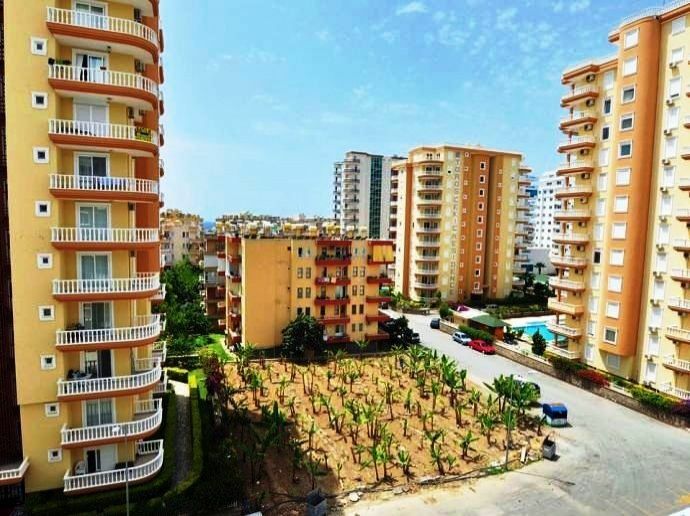 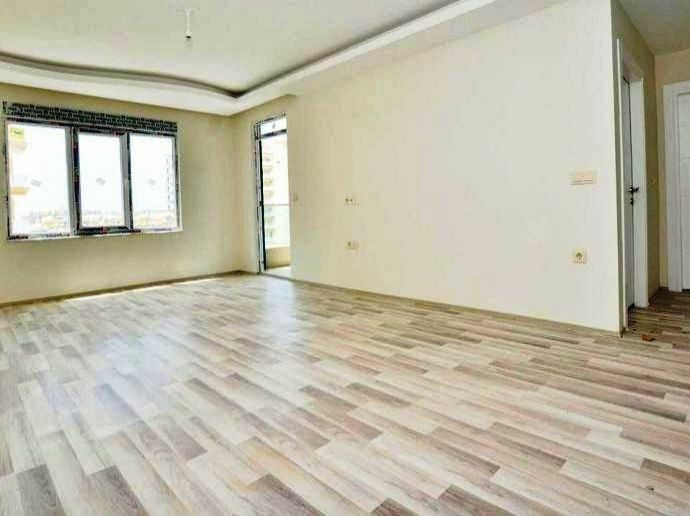 The residential complex in which this apartment is for sale in Alanya has a provision for a power back up through a generator. If you have a small family and wish to invest in a property in Alanya, this house can be an ideal vacation home or just as an investment.